ARRA News Service: A Smoking Gun at Ferguson . . . The DOJ was willing to go after a film maker that made a less than B rated anti-islamic movie that was used patsy in the Bengazi attack. While that was just a lame coverup to an illegal and treasonist arms deal gone bad, the DOJs actions directly spurred on the hate and violence in Ferguson. 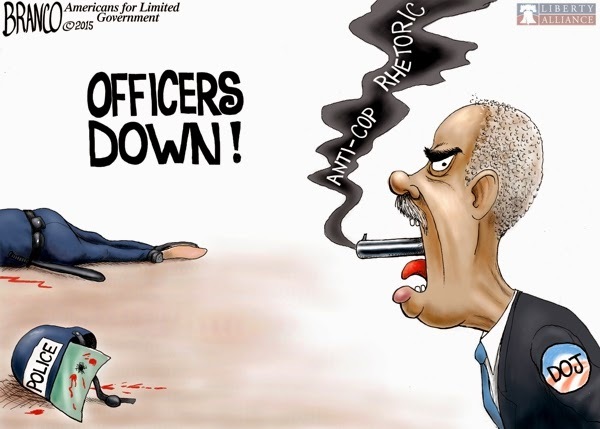 Holder and others should be held accountable for their carefully contrived misrepresentation of justice. Holder is the Black Panther representative in the White House. He is living out his fantasies through others.